Since 1 July 1999 - the date of taking up its activities - Europol has had the authority to deal with terrorist activities. Over recent years the organisation’s involvement in this area has seen a steep increase. The number of Europeans travelling as foreign terrorist fighters (FTFs) to the conflict areas in Syria and Iraq, the intensive use of the internet and social media in propaganda and recruitment activities, and the terrorist attacks in EU Member States directed or inspired by jihadist terrorist organisations, have caused a major increase in the number of cases at Europol concerning “crimes committed or likely to be committed in the course of terrorist activities against life, limb, personal freedom or property” - a development that is not expected to come to a halt soon. In order to remain up to par in cooperating with Member States in counter-terrorism activities and to improve the quality of Europol’s services where possible, the European Counter Terrorism Centre (ECTC) was established, and started its activities in January 2016. The ECTC is developing into a pan-European centre of counterterrorism expertise and provides direct operational support for ongoing investigations, such as the case of “Taskforce Fraternité”, following the 13 November 2015 Paris attacks. The team consisting of Europol experts and analysts has, along with the French and Belgian investigating teams, processed and analysed more than 14 terabytes (TB) of information, resulting in several investigative leads. Another example of Europol’s operational support is delivered on a daily basis by the EU Internet Referral Unit (EU IRU), to detect and investigate malicious content on the internet and in social media. This not only produces strategic insights into jihadist terrorism, but also provides information for use in criminal investigations. Meanwhile, the ECTC also works to track the flow of terrorist finance and links between terrorist suspects and criminal sources of (illegal) firearms and counterfeit documents. 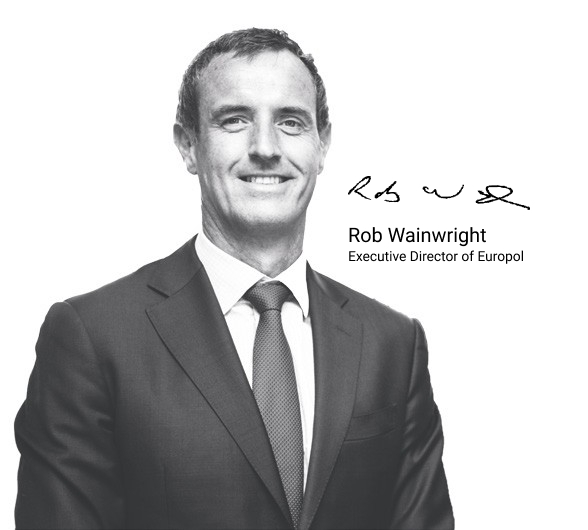 At the cornerstone of its work Europol provides a well-functioning apparatus for the swift and secure exchange of information. Never before has the need for information sharing become more evident as it has in the past two years, with its unprecedented number of failed, foiled, but also completed jihadist terrorist attacks across Europe. In contrast to ethno-nationalist and separatist terrorism, and most manifestations of both right-wing and left-wing violent extremism, is jihadist terrorism an international issue. This new edition of the yearly EU Terrorism Situation and Trend Report (TE-SAT), which Europol has produced since 2007, provides a concise overview of the nature of terrorism that the EU faced in 2016. In this report you will find information on terrorist attacks that occurred in 2016 and the numbers of arrests and convictions for terrorist offences. Also included is a brief overview of the terrorist situation outside the EU. I would like to thank all EU Member States and Eurojust for their contributions to the TE-SAT2017. I would also like to express my gratitude to authorities in Switzerland and Turkey for the information they provided. Finally, I would like to recognise the work of the members of the Advisory Board, consisting of the ‘Troika’ (Presidencies of the Council of the EU; Slovakia, Malta and Estonia), France, Spain, Eurojust, the EU Intelligence Analysis Centre (INTCEN) and the Office of the EU CounterTerrorism Coordinator. Their valuable contributions were indispensable for the production of this 2017 edition of the TE-SAT.